—Vermont Law School professor Patrick Parenteau, on the expected legal challenges to efforts by the Interior Department to open coastal waters to oil drilling, reduce conservation land, and roll back environmental protections for wildlife. Saturday, Feb. 10, noon - 2:00 pm, West Tisbury. Learn all about heirloom (open-pollinated) seeds at this workshop co-sponsored by Island Grown Schools, The Farm Institute, Polly Hill Arboretum, and the West Tisbury Library. If you have extra seeds, bring them to swap with others or donate to the MV Community Seed Library. You can also check out seeds from the collection to take home, learn how to do germination testing for seed viability, and help test the seeds in the Seed Library's growing collection. A free event at the West Tisbury Library, call (508) 693-3366 for more info. Monday, Feb. 12, 9:00 am, Aquinnah. The Natural Resources Department of the Wampanoag Tribe of Gay Head (Aquinnah) hosts a meeting to discuss the current state of the Island’s herring fishery. For many years, river herring and alewives have been in decline regionally. What is the status of our local populations, and what can we do to bring back this valuable resource? The meeting will bring together fishery managers, watershed organizations, state and federal agencies, and the interested public. The discussion will be open to everyone in attendance, so please come out and share your experiences and ideas. At the Wampanoag Tribal Community Center; for more info and to RSVP, please email Andrew. Saturday, Feb. 17, 9:00 - 11:00 am, West Tisbury. Join biologists Luanne Johnson and Liz Baldwin of BiodiversityWorks at the Polly Hill Arboretum to survey for winter wildlife activity. The workshop will start indoors, learning some of the tracks and sign of local species. Then, we'll venture outdoors to document all of the wildlife we can find as we walk around the Arboretum. $35 per person ($20 for PHA members), registration required, call (508) 693-9426. Calling on walkers, bikers, hunters, abutters, etc. Tuesday, Feb. 27, 7:00 pm, Vineyard Haven. A second meeting of the newly-formed "Friends of the State Forest" will be held later this month at the Tisbury Senior Center. The first meeting was well-attended by conservation professionals, but the group wants to increase the involvement of people with other interests in the State Forest: hunters, bicyclists, abutters, and local government representatives. Please share this message with anyone who could be interested, and come on out to the next meeting and learn what the "Friends" are all about! The mission of the Friends is to promote the interests of our largest, and often underappreciated, conservation property on the Island, the Manuel Correllus State Forest. For more info, email Bob Woodruff. 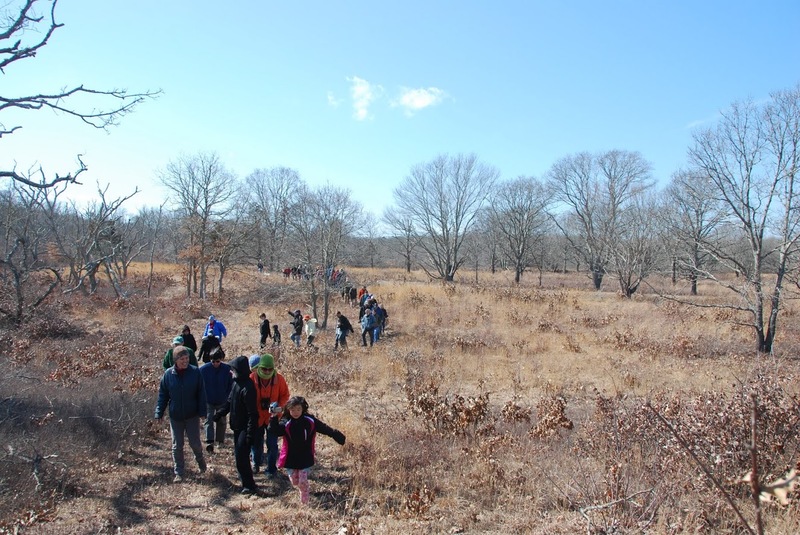 Always a fun and educational hike: See more photos from our 2012 and 2014 visits to the Woods Preserve. 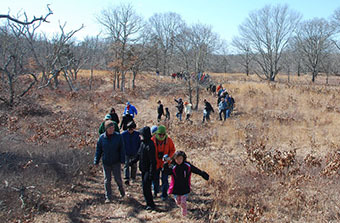 Join VCS at 10:00 am, Sunday, Feb. 11 for a return to the ever-changing Frances Newhall Woods Preserve. 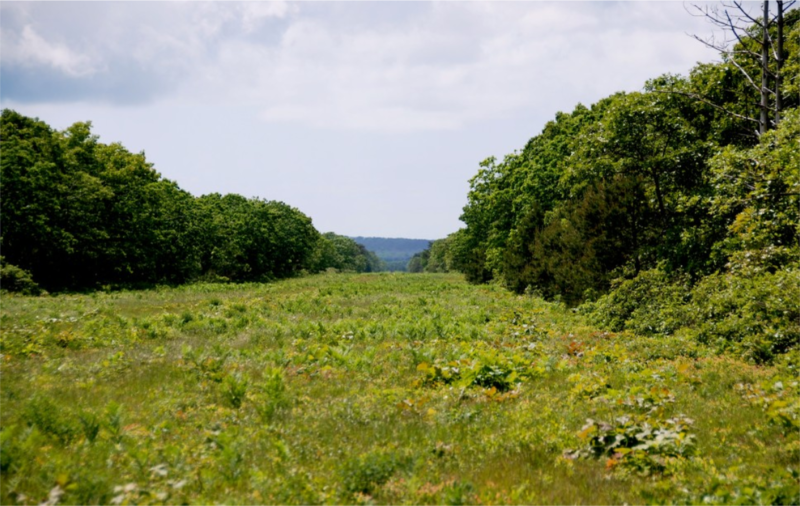 Located across the towns of West Tisbury and Chilmark, the 512-acre property provides one of the largest intact ecosystems on our island, including at least eight distinct natural communities, ten different soil types, and more than 200 plant and animal species. Please note, tough footing: Walks at the Woods Preserve often traverse areas where shrubby vegetation, mowed or burned, stiffly pokes up from the ground. So wear strong-soled shoes or boots, and we suggest leaving dogs at home – in previous years, sore paws have led some to be carried out by their human companions! 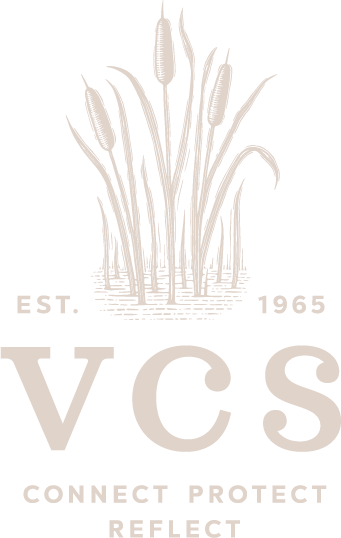 Parking is off North Rd., about one mile from the State Road end; look for VCS signs and flags on the south side of the road. The walk will last one to two hours, followed by cider and cookies. 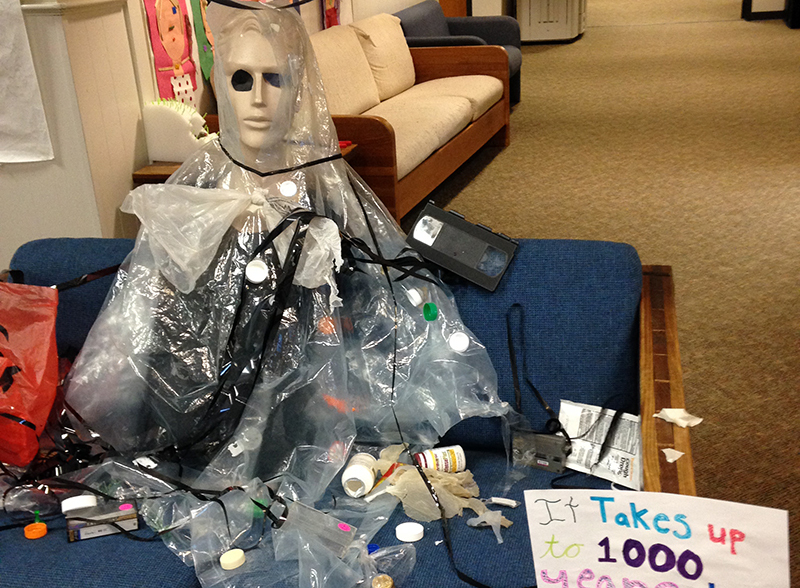 Increasingly, plastic packaging is everywhere you look. Yet nowhere else on Earth is quite so thoroughly wrapped, bagged, and freshness-sealed as the grocery store. 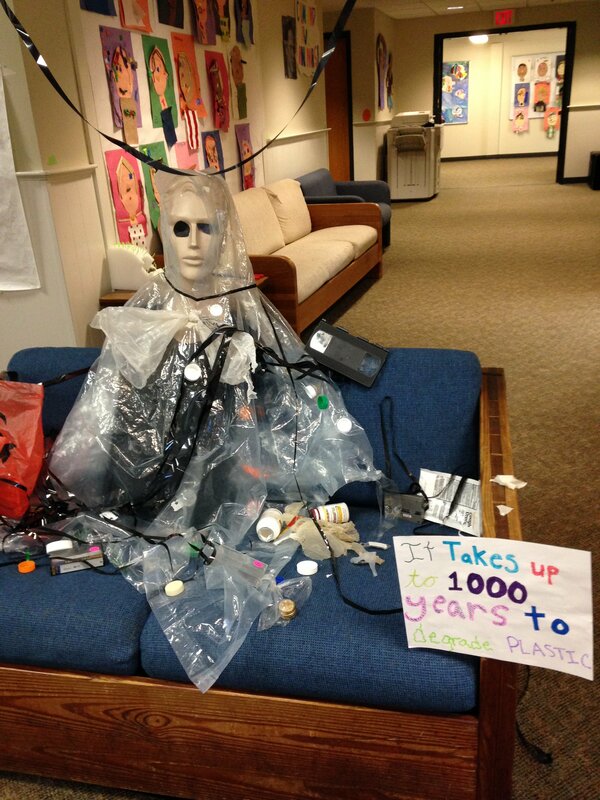 Since we all have to eat, excessive plastic food packaging is a big reason why the prediction by the World Economic Forum – that by 2050 there will be more pounds of plastic than fish in the ocean – is plausible. Plausible, but far from inevitable. 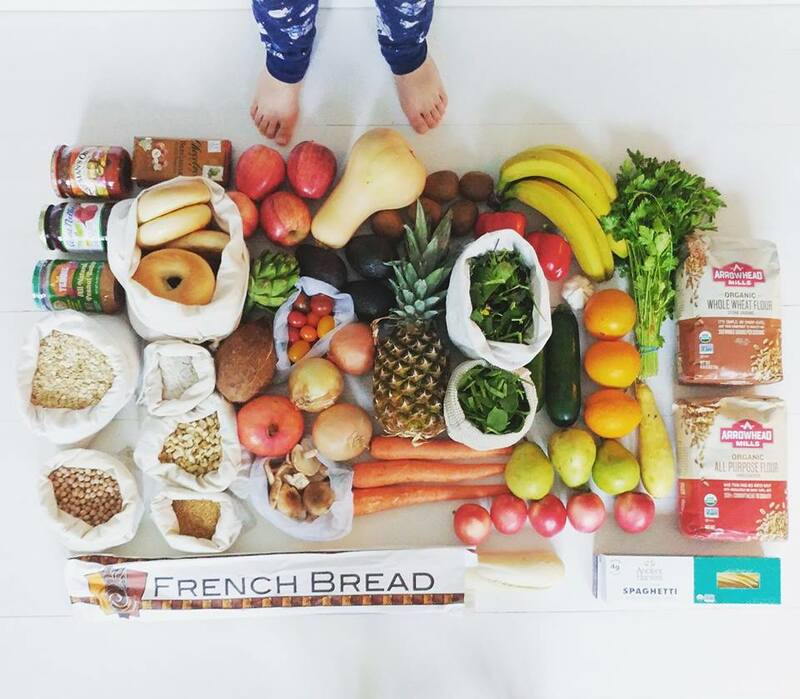 If you’re ready to learn how to reduce, or even avoid altogether the excess packaging that comes with every trip to the grocery store, join us next Tuesday (the 13th) for the first of our “Breaking Free from Plastic” workshops. Come with questions – leave with solutions! A collaboration between VCS and Plastic Free on MV, these fun, informative, and family-friendly gatherings are planned for the 2nd Tuesday of the month from 6 to 7 pm, and will be held at the Island Cohousing Common House (see map for directions).